Over Christmas, while I was visiting family in North Carolina I had a surprising amount of older friends and family members approach me with questions about CBD. Now that CBD is legal across the country, more and more people are starting to consider incorporating it into their own wellness routine, and more and more of those people are seniors. 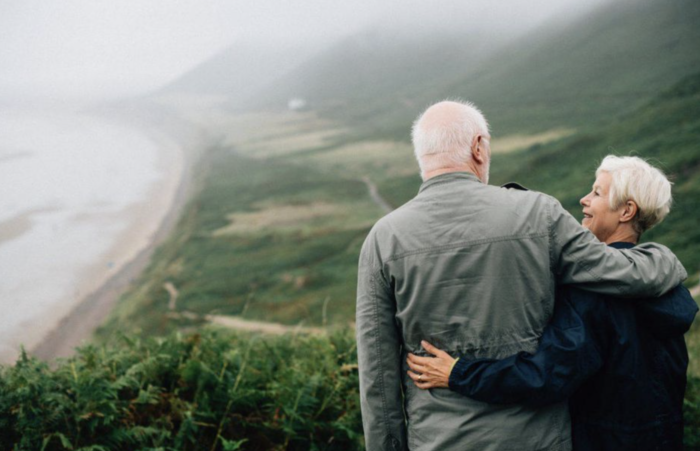 A recent study of 1,000 seniors ages 54 and up by Remedy Review found that 9% of seniors have tried CBD for health-related reasons and 51% of those that have tried it reported having an improved quality of life afterward. Over 65% of the seniors surveyed that tried CBD said that their quality of life was good, while only 31.1% said the same before trying CBD. As for how those seniors are taking that CBD, many prefer drops. A whopping 54.4% of the seniors surveyed that had tried CBD did so by putting CBD drops directly in their mouth. 21.1% of the serious opted to put those drops in a beverage instead, and another 21.1% got their CBD through a CBD-infused edible. Just 15.6% took CBD capsules, a fact which I personally found surprising. I would think a capsule would be preferable to drops, but the numbers are skewed dramatically the other direction. Just 10% of the surveyed seniors vaped or smoked their CBD. As you might imagine, with older age comes a number of health problems, which is primarily what seniors were looking for relief from with regular CBD use. 42% of the seniors surveyed said they were taking the CBD to deal with inflammation, and 40.9% to deal with chronic pain. 38.6% said they were giving CBD a try in order to deal with poor sleep quality, and 31.8% used CBD to deal with arthritis pain. And it’s working. 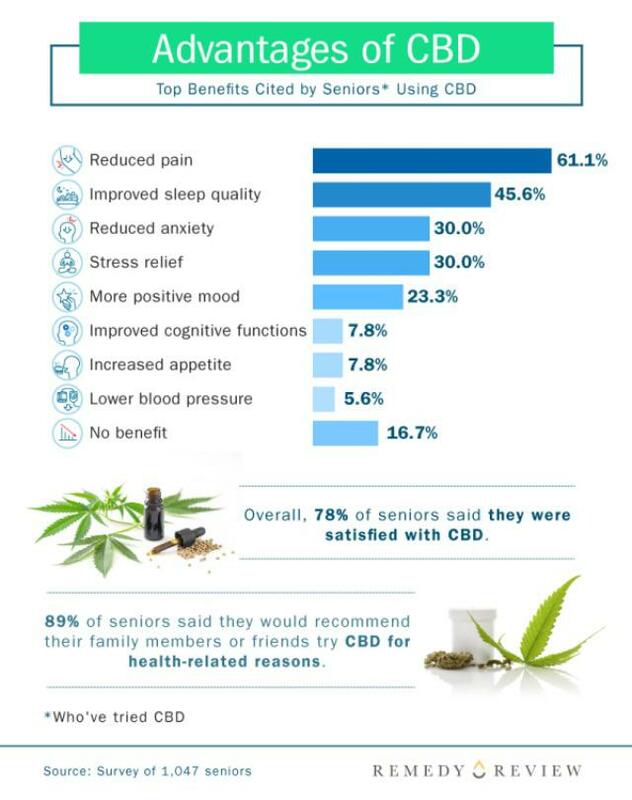 61.1% of the seniors that tried CBD said that it helped reduce their pain, and 45.6% reported improved sleep quality. Seniors also reported having reduced anxiety, stress relief, and a more positive mood. Remedy Review’s study is far from the first to point out that CBD might be a good solution for seniors. A post last year on the Harvard Health Blog from Harvard Medical School pointed out that in numerous studies CBD has been effective in combating seizures, and is also helpful in dealing with anxiety and sleepless nights. A study from the European Journal of Pain also showed that CBD applied directly to the skin has helped lower pain and inflammation due to arthritis. We’re certainly still in the early days of CBD popularity, especially in the senior market, but so far the outlook looks good.